President Muhammadu Buhari’s attempt to analyse the political situation in the country in his New Year broadcast ended up as the sad defining feature of his two and half years in office. Not only was the speech presented in the usual drab militaresque fashion that was the imprint of his stint 35 years ago as military head of state, it underscored his indifference to change, thereby putting a lie to his much-talked about born-again democrat epithet. The speech ended up exposing the President as the problem with his party, the All Progressives Congress (APC). For where the party is in need of a leader, Buhari’s aloof style leaves the party faithful in a quandary, culminating in second-guessing and policy inconsistency. Right from the time a former chieftain of the party, the fourth republic Vice President, Alhaji Atiku Abubakar, made his notable restructuring call at a book launch in Abuja, the issue has continued to destabilize the ruling party. The National chairman, Chief John Odigie-Oyegun, had come out in bold renunciation of Atiku’s summations, not out of his convictions, but obviously in a vain effort to humour the President, whose intolerance to free speech and democratic openness remains legendary. Oyegun, who had been Buhari’s ally for a long time, particularly in their All Peoples Party (APP) days, hit a bull’s eye by the correct reading he gave to the President’s body language. Former speechwriter to the late United States President, Ronald Reagan, Ms Peggy Noonan, outlined that the two fundamental issues in politics is whether action should follow consensus or the reverse. 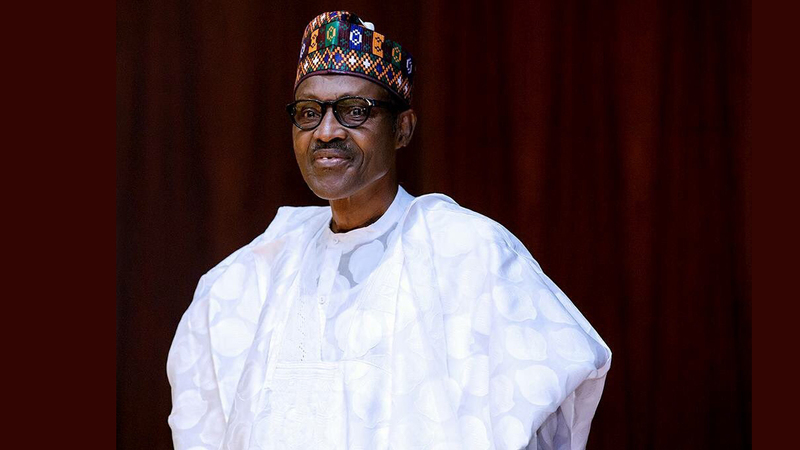 By using his New Year message to declare his obdurate stance against restructuring, President Buhari has shown his unpretending unease with the niceties of democracy. The compound reading of the President’s speech shows that Nigeria has long left Buhari behind in 1983 when he employed command and control approach to administer the country. 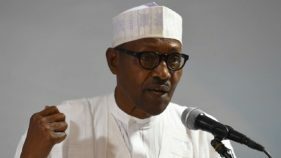 By disdaining dialogue, which his party has settled for by setting up a committee to discuss the issue of restructuring, President Buhari has unwittingly vindicated his colleagues who shunted him aside in 1985 for running the junta as a one-man show. President Buhari ended up admitting that he was using yesterday’s strategies to solve today’s leadership challenges. Did the government not anticipate a rise in the demand of petroleum products at yuletide as is usual? What did the President and Minister of Petroleum do to outwit those persons that were intent on creating unnecessary fuel scarcity across the country? The President forgot or glossed over the fact that structure helps process, because a perfect orgnogram facilitates efficiency, which is a function of process. And to show that his was perhaps an isolated stand borne may be out of poor analysis, the chairman of the President’s advisory committee against corruption, prof. Itse Sagay (SAN), shot down that symptom of political corruption. Prof. Sagay perforated the President’s argument by stating that Nigeria as currently constituted needs both restructuring and process, stressing that while processing is in tandem with what the government is doing, restructuring is necessary to firm up the system. However, the Director General of Voice of Nigeria (VON), Mr. Osita Okechukwu, sided with the President’s preference of process over restructuring, saying, “one is at a loss how the execution of critical infrastructure like the fixing of 25 dilapidated federal roads across the nation with the N100 billion Sukuk loan, or the over 3,000MW Mambilla Hydroelectric Power Plant and other power projects across the country will exacerbate conflicts among nationalities. From the President’s stance, it becomes obvious that the 2019 election would be a battle between reactionaries, which Buhari has come to embody and progressive democrats, of which Atiku is perceived to be at the forefront. The President seems to have shot down the perceived motions without movement in his party, the APC, which had set up an advisory committee on restructuring. On the surface, the President’s stand on restructuring comes as an affront to whatever could be the wishes of majority of Nigerians. Restructuring will remain a hot talking point, as the country gets ready for another general election in 2019. The curious fact is that the issue has not been fully appreciated or put in perspective by various political parties so that Nigerians could assess which party’s idea of restructuring comes closer to the type of country they expect. 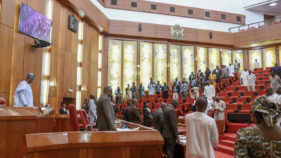 No sooner had the Senate declared its intention to amend the Nigerian constitution, for instance, than the clamour for the devolution of power became a national concern as various individuals, groups and states started agitating for or against it. The predominant opinion of Nigerians is that the 1999 constitution is weak, undemocratically put together and lacking citizen input. Although some analysts described devolution as the statutory delegation of powers from the central government of a sovereign state to subnational levels, such as a regional or local level, others say it is simply administrative decentralisation. It was also noted that most decisions coming from the central government were hardly in line with regional priorities, hence, devolution recognizes the right and potential of local communities to self-management. The protagonists also argue that devolution of power fosters local development and national unity through the acceptance of diversity, promotes the equitable distribution of resources and at the same time ensures that there are stringent checks and balances. Sagay holds the view that the 1999 constitution was a mistake made by the military, because it has left states in a weak position thereby causing setbacks for the country. The Chairman of the Lagos State branch of the pan-Yoruba group, Afenifere, Supo Shonibare, reiterated that a federal system that devolves power to states is what will save the country at this critical time, as against the unitary system, which the country operates. “The thing is the federating unit cannot be as was envisage as the time of independence when we had three regions, it cannot be like the time we had Republic in 1963. The fact is that even states on their own cannot have 36 constitutions; the federating units need to have their own constitution. That is why we are suggesting that the six zones should be regions. States within the zones should decide on what common economic and social services and police that they want to give to the region. The state should have control of police and other major sectors that best suite the people. 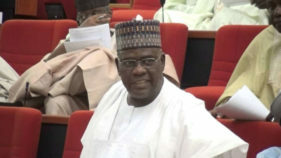 Shonibare stated that the concession in the South zones which comprises the South West, South East and South South, is a welcome development as it has been agreed that states would keep 50% of all revenues collected within their state, 35 percent will be on running regional structures, 15% is what they will give to the government of the federation. Part of the arguments for the devolution of power is that the Constitution concentrates too much power at the centre at the expense of state authorities that are closer to the citizens. Underscoring this burden, the devolution of power gives room for transparency in governance matters and cultivates a sense of ownership among the local people which enhances active public participation and promotes unparalleled commitment to localised developmental issues as against centralized governance, which is bureaucratic and has limitations when it comes to efficiency, accountability and transparency. While the proponents of devolution of powers to the federating states in Nigeria dwell on the positive sides of the concept ignoring its demerits, a legal practitioner and Global Research Fellow, International Centre for Not for profit Law (ICNL), Washington DC, Solomon Okedara, has reiterated that it is important to note that the decision to implement devolution must be carried out with a critical analysis of both merits and demerits, thereby adopting the best model for the development of the Nigerian society. The Lagos-based legal practitioner noted that whilst the devolution of power is generally encouraged for a number of reasons, which include making governments more responsible, facilitation of participatory decision-making, balancing of country’s economic diversity and bringing the government closer to the people, caution has to be applied as the devolution of powers might divide the people along tribal lines, thereby promoting ethnicity. “Other demerits include exclusion and compound marginalisation of minorities, the inflation of religious and cultural diversities, decentralised authoritarianism and secession, creation of rigidity and slowing down of decision making- process and unnecessary duplication of roles among others. Whatever might be the ultimate outcome of the argument for and against restructuring, including the aspect of the devolution of more powers from the exclusive to concurrent list, it has offered Nigerians the opportunities to contribute to the nation’s development through dialogue, which is a hallmark of democracy.